Last weekend friends, Bill and Judy invited Helen and I to join them at the Eagle Rock wildlife estate where they have a private lodge. 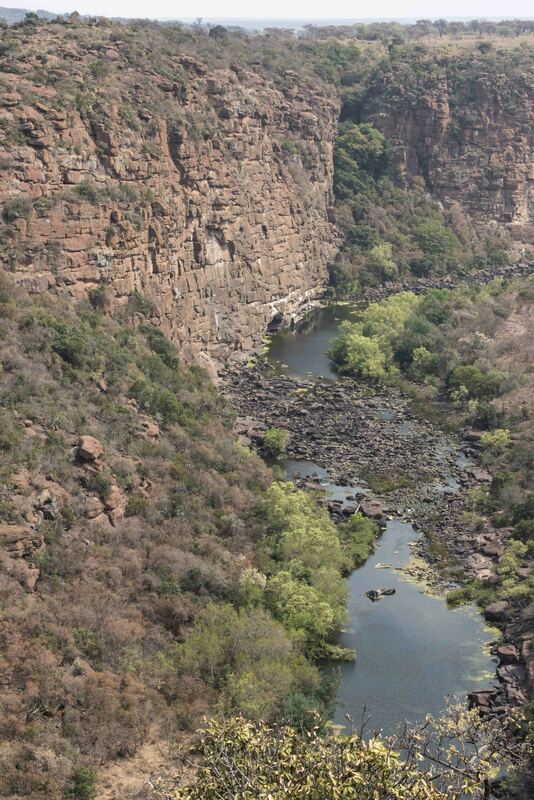 Eagle Rock is located about 15 kilometres west of Witbank in Mpumalanga province in the highveld of South Africa. 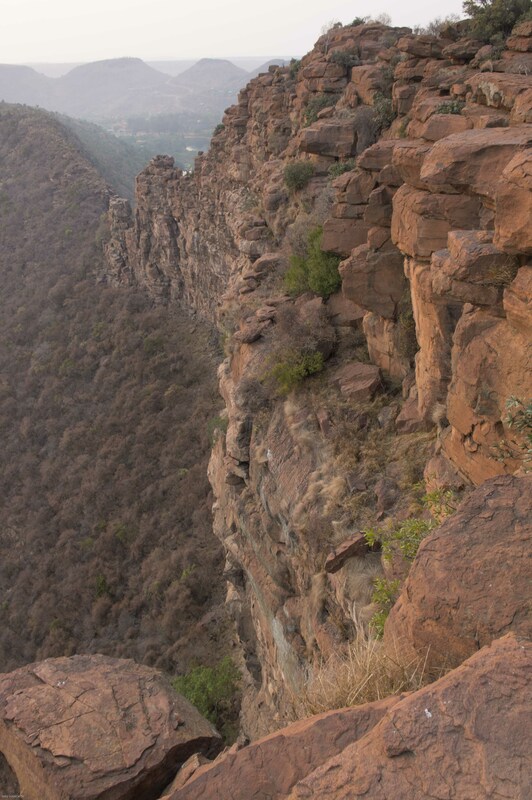 The eastern boundary of the estate is the Olifants river which is fed by the Witbank dam and flows down to the Loskop dam. The flow of this river is determined by the release of water from the Witbank dam. During the peak rainy season it can be in flood but in late September, spring in this part of the world, it was dry so the water level in the river was low. Bill and Judy are long standing friends so the first afternoon was spent catching up and just enjoying the quiet and beautiful scene from their lodge. Being a passionate nature photographer, regardless of the merriment the night before, I got up early the next morning, before sunrise, in search for a few images which captured the mood of the sunrise in this unique landscape. This first image was taken just as the sun was rising. It had just climbed above the horizon but the light was very hazy so the sun was just a ball of yellow and orange in the purple, apricot and pink sky. There are many coal-fired power stations in this part of South Africa. They create the haze, mother nature creates the beauty. 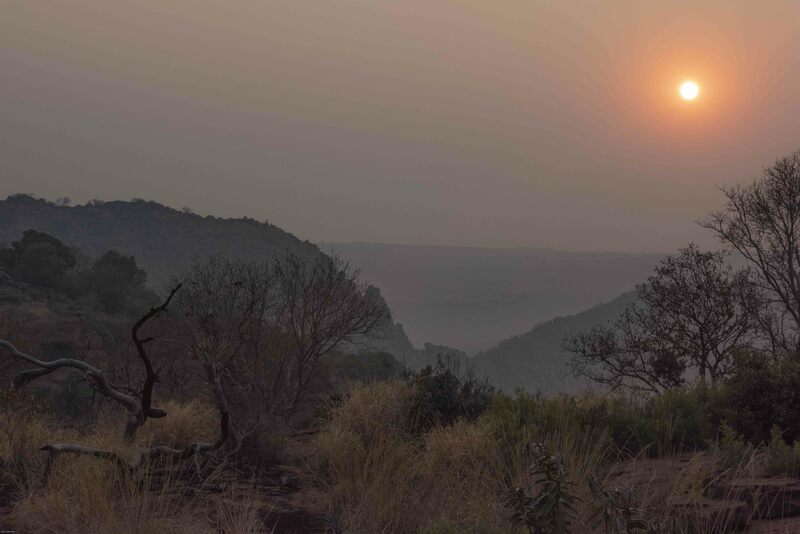 The haze was thick, the sun had climbed quite high in the morning sky and it was still quite dark and moody. As the sun rose in the hazy sky, the filtered light began to illuminate the sandstone cliffs towering over the river. This was a standpoint which we used to look at the Black Eagle’s nest. 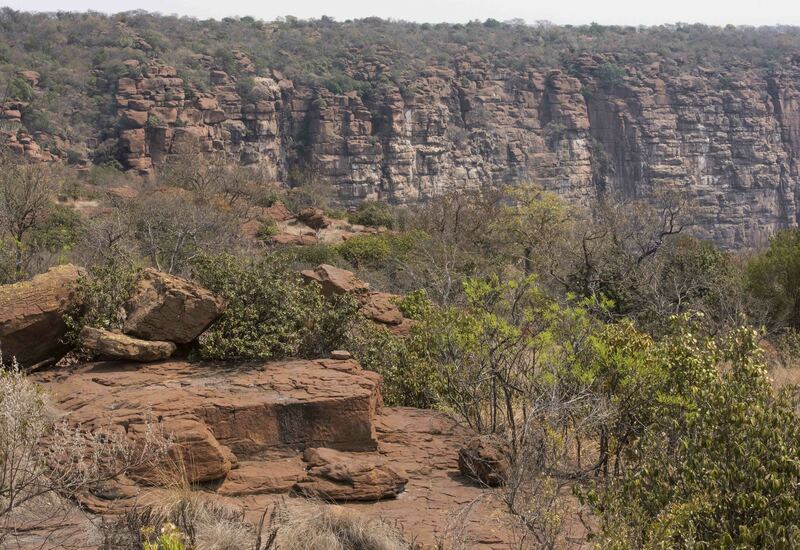 The nest was located on the cliff edge away from prying attentions of baboons, genets and rock monitors. Back for breakfast, the outlook from the lodge patio looking onto the sandstone cliffs. 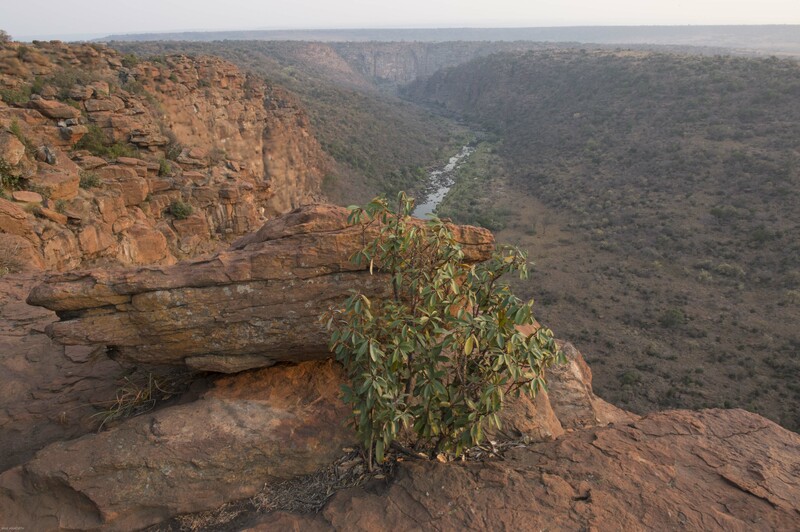 A short walk from the lodge and we were overlooking the Olifants river. It was low but spring has brought out the vibrant greens in some of the trees. After breakfast we wandered around the estate. 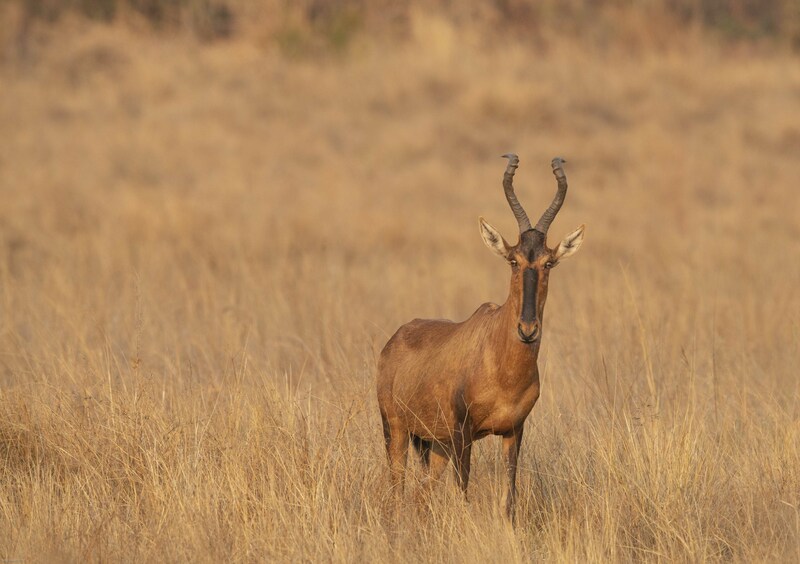 We found a lone red hartebeest grazing in one of the verdant valleys. 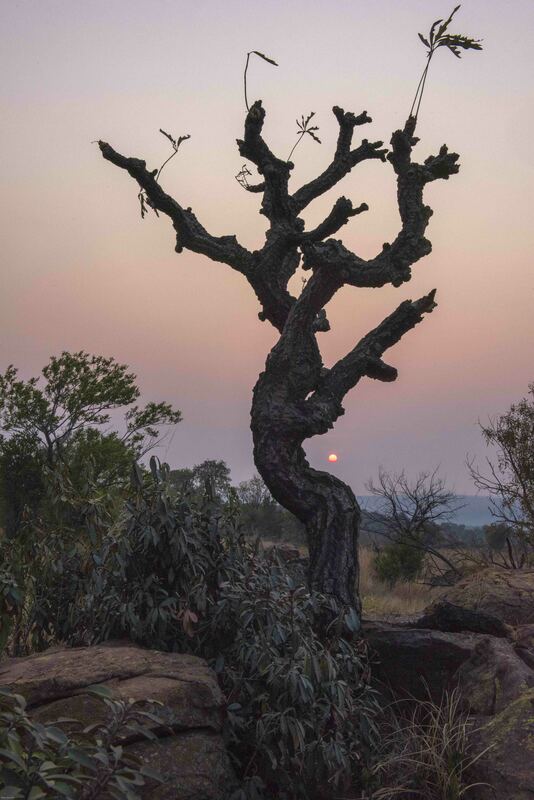 It was strange that it was alone but there are no predators on the estate save a clandestine leopard or two. 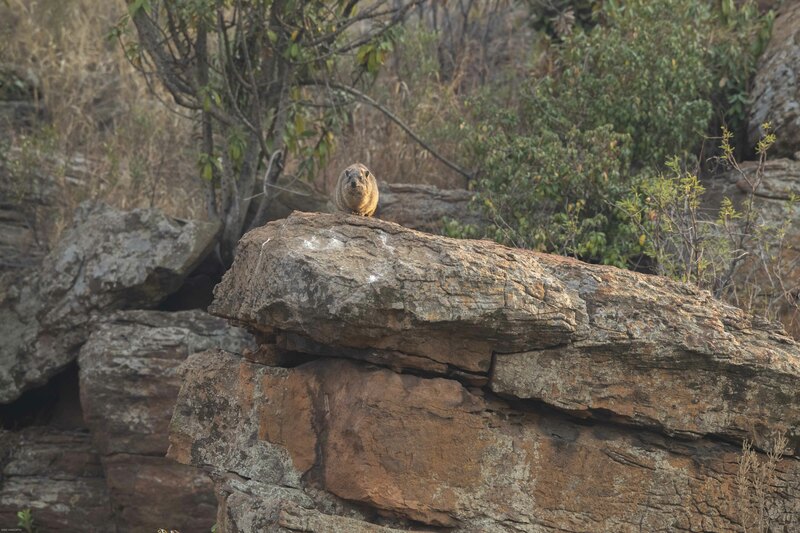 Early in the morning the rock hyraxes come out onto the rocks to warm up. They stay in the rocky outcrops for cover. Despite this many fall prey to the Black Eagles which live in the area. The morning dew was still on the grass. A pair of Natal francolin were foraging in the middle section of a road track. It was blissfully peaceful. I watched them quietly going about their business for about half an hour before they moved off into the surrounding vegetation. Along the same valley were many ferns, briars and flora which was waiting for the rains to burst into life. 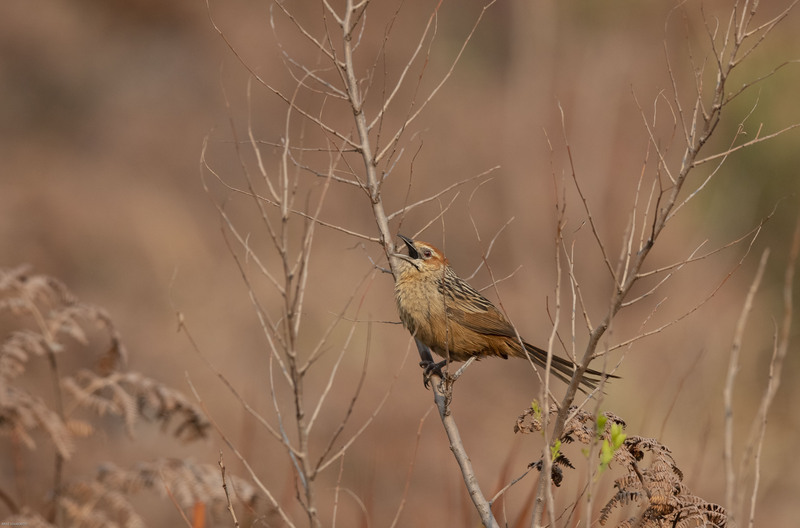 This grass bird was singing its heart out unperturbed by me. 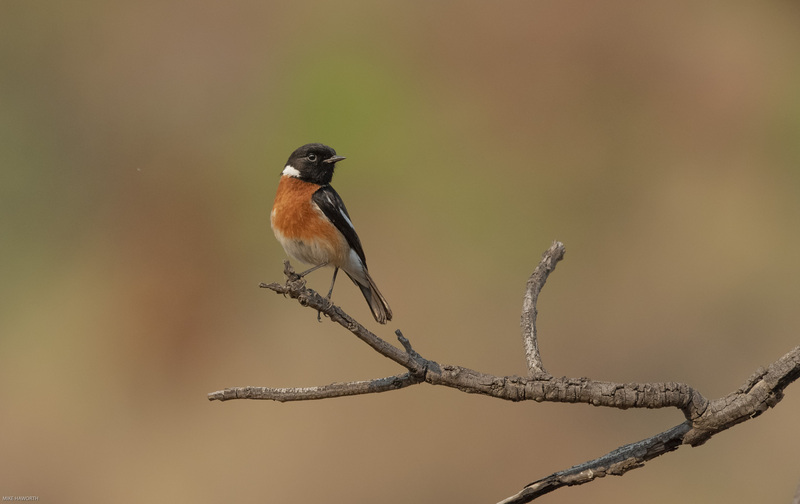 An ubiquitous male Stonechat calling to his mate. The Eagle Rock estate is sited on weathered sandstone. Staring at the weather structures along the cliff face images start to form – the head of a roman soldier with helmet on. 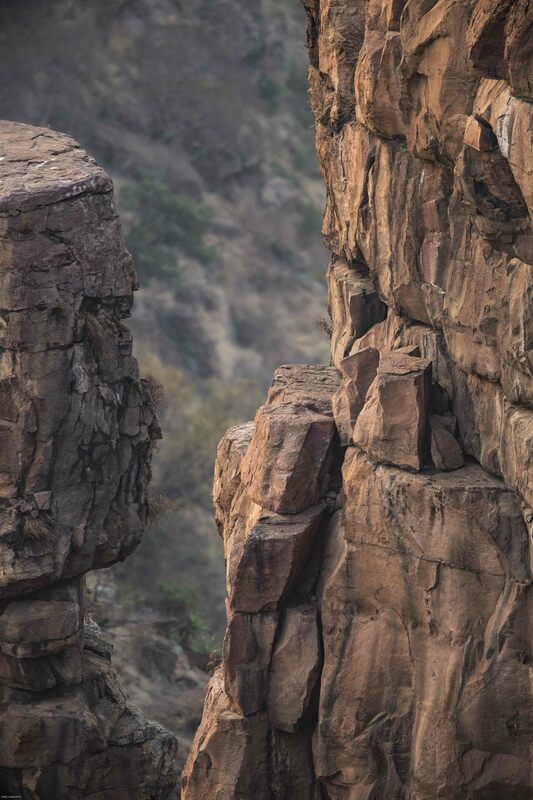 In next week’s post, I will show you some of the images of the black eagles which live and hunt along these sandstone cliffs on Eagle Rock estate. Explore, seek to understand marvel at its inter-connectedness and let it be. What a beautifully scenic place! Wonderfull place Mike. Yet another beautifull blog!